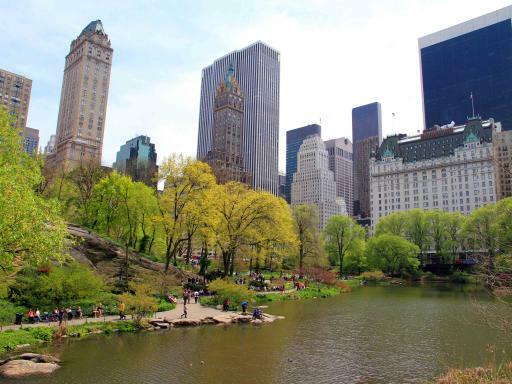 Explore Central Park in an eco-friendly mode of transport! 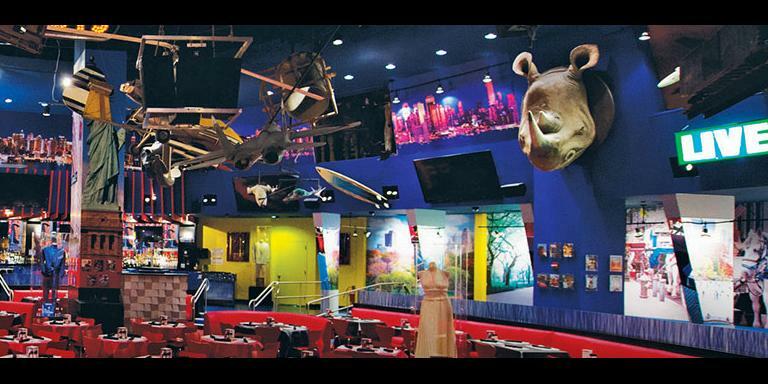 If your family is diverse, finding a tour that comfortably accommodates every age and speed can be almost impossible. 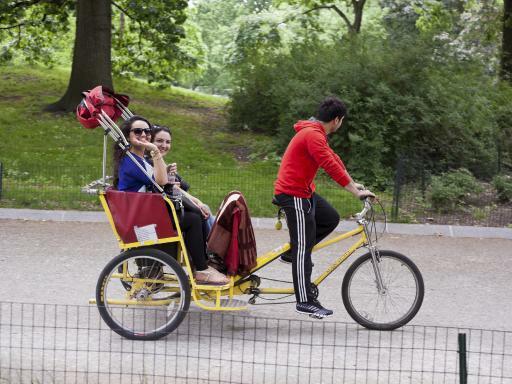 Smaller children find it harder to keep up with adults when walking or biking through the park. People in your family with disabilities may find longer walks daunting – particularly in a group setting. 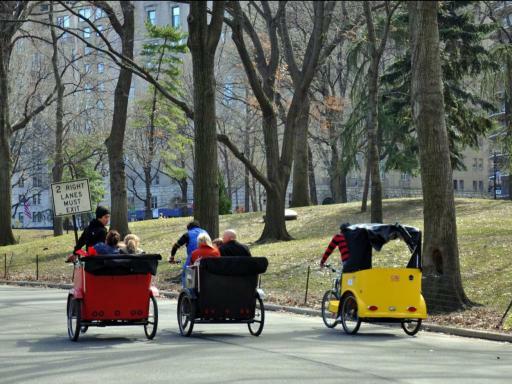 Let these pedicabs take you on a tour your entire family can appreciate at the same pace. 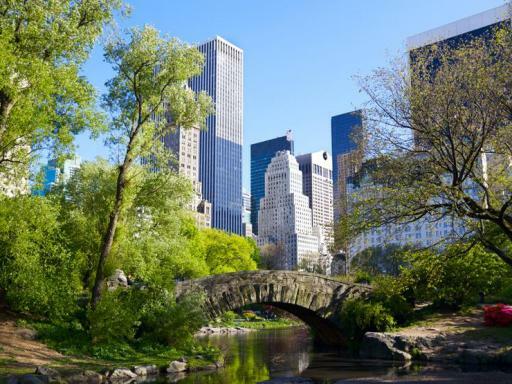 Central Park is six miles long and over a mile wide of manicured landscapes, bridges, and stunning views. 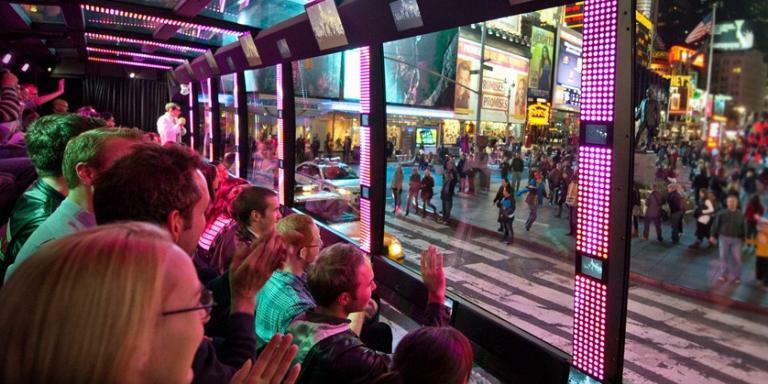 A pedicab tour is one of the best ways to explore this iconic New York landmark. 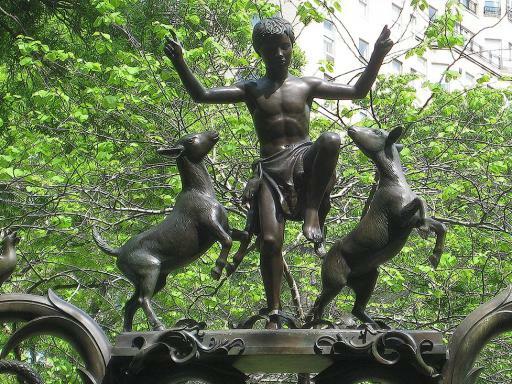 Your tour guides know how to manage any group of any size, able to show this beautiful outdoor monument to its fullest extent. There is ample time to take pictures when you don’t have to watch where you are going! 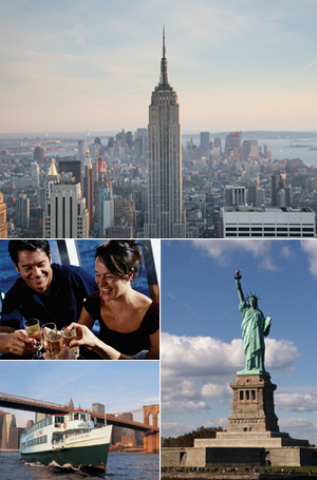 The tour lasts for one hour in the park or can be extended to include any neighbourhood in the borough of Manhattan. 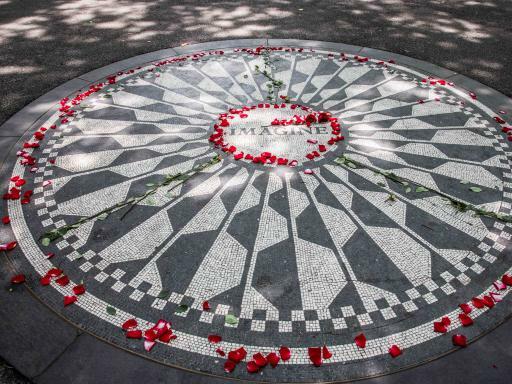 Popular stops include The Bethesda Terrace & Fountain, Cherry Hill Fountain, Alice in Wonderland, The Boat Pond, The Bow Bridge, The Lake, Strawberry Fields & the Dakota building. Please note: Prices are based on a pedicab not per person. 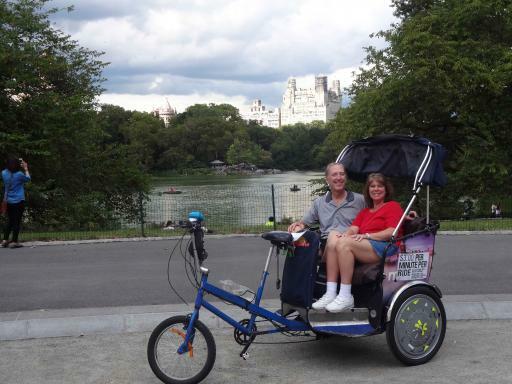 The pedicabs can accommodate two adults or two adults and one child. 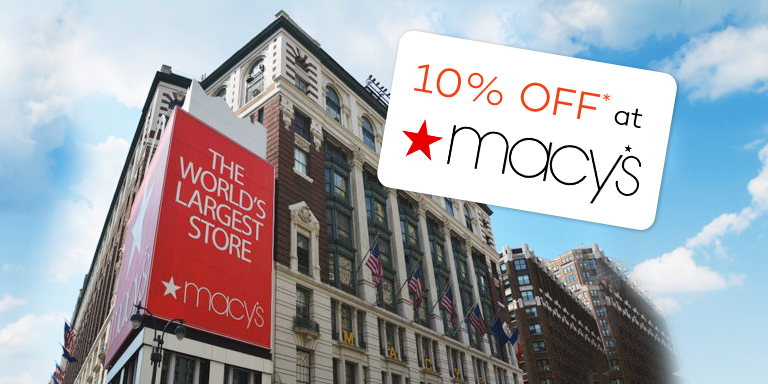 Departure Location: Vouchers are redeemed at 56 West 56th Street, which is just 3 blocks from Central Park. Departs: Tours run daily, year round. 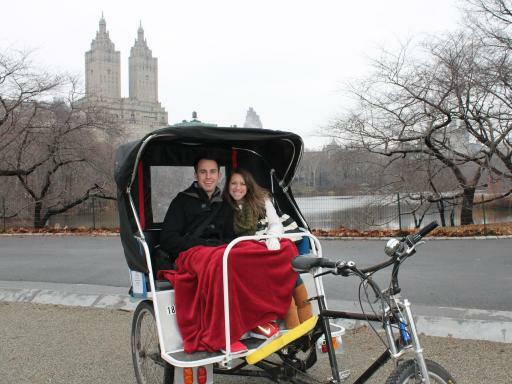 Duration: 1 hour Central Park Pedicab Tour. Start Times: Central Park Pedicab Tours are available at 10.00am, 11.00am, 12.00pm, 1.00pm, 2.00pm and 3.00pm. There was a charity race on which they did not no about so our driver took as around the park some of the way walking. He had lots of knowledge on the park and would point out things to us. He gave us extra time due to the race, he was very friendly the whole thing was a lovely experience. Date and time must be selected at time of booking. Prices are based on a pedicab not per person. 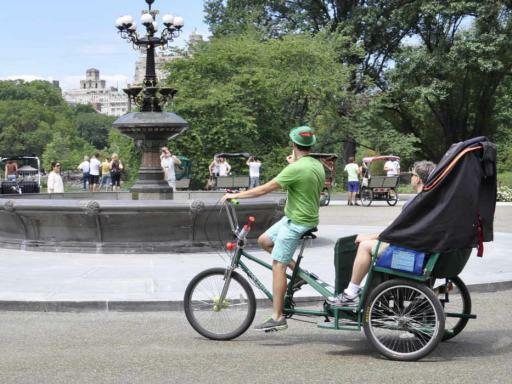 The pedicabs can accommodate two adults or two adults and one child.